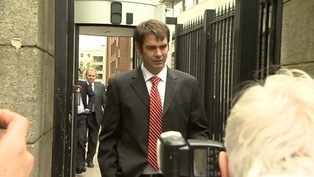 The son of Ex Billionaire Seán Quinn has had his appeal dismissed by the supreme court today. RTE reported that The five-judge court will deliver a full judgment outlining the reasons behind the majority ruling at a later date. Seán Quinn Jnr will remain in prison and is due back before the High Court this Friday. SO far he has served almost three months in jail. The Supreme Court however set aside an order of the High Court which allowed for his indefinite imprisonment until he purges his contempt. This order related to a number of coercive orders aimed at reversing an asset-stripping scheme. Seán Quinn Jnr had no reastion when the ruling was delivered. He was supported in court by members of the Quinn family including his wife and two of his sisters. The majority decision was delivered this morning by the Chief Justice, Ms Justice Susan Denham.